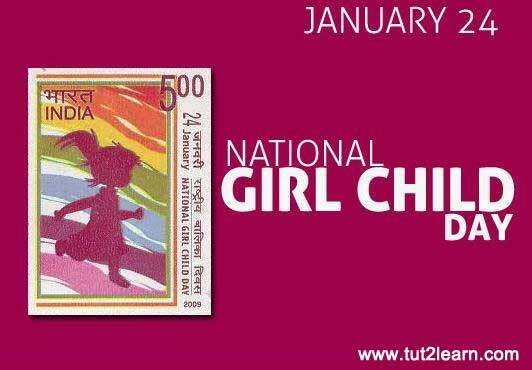 Every year National Girl Child Day is observed on 24 January 2015 across the nation. It is celebrated to increase the awareness among people about all the inequalities faced by the girl child in the society. Inequality about girl child is a vast problem which includes many areas like inequality in education, nutrition, legal rights, medical care, protection, honour, child marriage and so many. National girl child day has been started as a national girls development mission by the Government of India. This mission create the awareness among people all over the country about the importance of girl’s promotion. It increase the meaningful contribution of the girls in decision making processes through the active support of the parents and other community members. It is very necessary to remove different types of social discrimination and exploitation that girls generally face in their life. To create the awareness about the necessity of the girls right in the society, various political and community leaders speech to the public about the girls right for the equal education and fundamental freedoms. Save the Girl Child scheme has been introduced by the government to save the girl child. Operation Blackboard including other programmes has been organized for the teacher’s education to make the school services advance. It has been declared for the girl child that girls must be given equal treatments and opportunities from the very beginning to expand the opportunities for them. The SHG means Self-Help Groups has been introduced by the government as the main policy in order to make better the livelihood of rural areas girls.